The first hospital-based stem cell and regenerative medicine facility in this city was launched on June 20, marked by the signing of the memorandum of agreement by SPHI, Medical Conglomerate of Asia, Africa and Oceania, Inc., (MCAAO) and the Iloilo City government. SPHI Kidney Center Head and Stem Cell Medicine Coordinator Dr. Helen Caro-Pastolero said under the project, SPHI was identified as the medical hub and MCAAO as service provider, for they will be doing the technology, and the City government providing support to medical tourism. Stem Cell Medicine is an innovative program that involves engineering of living cells and tissue preserved to enhance organ functions. The therapy offers treatment for disorders such as diabetes, arthritis, Parkinson’s Diseases, Alzheimer’s disease and for anti-aging. 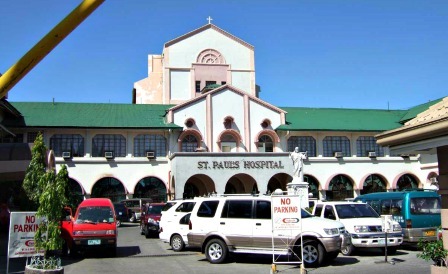 Iloilo City Mayor Jed Patrick Mabilog said the launching of the stem cell medical service at SPHI will definitely put the city onto the map of medical tourism industry. He said this is an additional boost to Iloilo City especially that it is geared towards premiership. “We are the emerging haven for businesses and investors including medical tourists who are excited of our services in terms of health care and wellness,” said Mabilog as he disclosed that aside from the goal of hosting the APEC in 2015 and ASEAN in 2017 he has received a letter from Urban Environmental Accords requesting if Iloilo City could host their world conference in 2016. On the other hand, MCAAO Inc. president Dr. Leo Olarte said he is happy that stem cell treatment has been accepted in this part of the country because it is for the best interest of patients and citizens. “We hope that stem cell therapy will develop to its maximum in SPHI,” said Olarte. He added that through this joint venture with SPHI they will be able to promote medical tourism.